Imagine yourself carrying 12kg of weight on your back, with nothing but rolling sand dunes to keep you company. The temperature is over 40 degrees centigrade, and you can't even feel your sweat evaporating. Your lungs are parched, It's too hot to breath, and the blisters on your feet are getting worse and worse as you trudge, slipping and struggling, up the next sandy djebel. This is the Marathon Des Sables (Marathon of the Sands), a challenging multi-stage 250km ultramarathon held over 7 days, in one of the world's most unforgettable and inhospitable landscapes, the Sahara Desert in southern Morocco. It is ranked by the Discovery Channel as the Toughest Foot Race in the world, and is one of the ultimate tests of endurance and discipline. Runners must be self-sufficient and carry all their own food, cooking kit, clothing and sleeping bag for the chilly desert nights, first-aid and other emergency equipment, with only water provided at each checkpoint, and open-air tents for shelter at the end of each day. This year, in 2015, the Marathon Des Sables celebrates its 30th anniversary. Race director Patrick Bauer promises it will go through some of the most beautiful locations that have built the Marathon Des Sables legend, whilst runners will face the longest stage in the marathon's history (the current record is 92km for the 2009 edition). You're tougher than you think you are, and you can do more than you think you can. Despite a busy work schedule, Boon lives by the mantra of keeping fit and living healthy. He runs everyday, and has completed in excess of 6000km since August 2012. Boon also enjoys other adrenaline sports including alpineering, snowboarding, surfing and water skiing. Why the Marathon des Sables? It seemed like a good idea at the time, he says! With the belief that a healthy body and a healthy mind go hand in hand, Phing participated in his first half-ironman triathlon in the late 1980's. Since then, he has enjoyed a plethora of activities, from hiking, martial arts and yoga, rock climbing and mountain biking, to participating in a powerlifting competition. The Marathon des Sables will be the most extreme event so far, and he looks forward to it with mixed feelings of anticipation and trepidation! 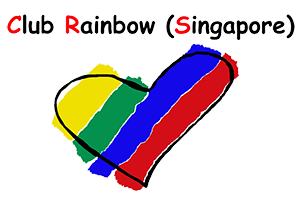 Club Rainbow (Singapore was set up in 1992 to provide a range of comprehensive support services for the families of children who suffer from major chronic and potentially life-threatening illnesses. By working closely with KK Women's and Children's Hospital (KKH), the National University Hospital (NUH) and the neonatal ward of the Singapore General Hospital (SGH), Club Rainbow presently helps more than 600 children and their families. Children in Club Rainbow range from newborn babies and youths up to the age of 20 years. They require frequent visits to hospitals for treatment, complicated therapy and long-term medication. On the recommendation of their respective doctors, these children are referred to Club Rainbow for follow-up support. We offer a vibrant array of free services to our beneficiaries in the five core aspects including home and hospital conselling; center, hospital and home tuition; befriender services as well as education seminars. Our centres at NUH and KKH have a variety of resources available for parents and their children. These include books, board games and educational computer games. We are a registered society under the Registry of Societies, a registered charity with the Commissioner of Charities, a full member of National Council of Social Services and accountable to the Ministry of Health (the charity's Sector Administrator.) The IPC status given by MOH enables Club Rainbow to provide tax exempt receipts for all donations received. For more information about Club Rainbow (Singapore), you may visit our website at www.clubrainbow.org or call at 6377 1789. All images on this run beneficiary page are credited to Club Rainbow.